Northwest Freightway is always recruiting drivers to join the Northwest Family, Contact Us for additional information. Section 391.11 of the Federal Motor Carrier Safety Regulations (FMCSR} states that you must meet certain minimum requirements in order to operate a commercial motor vehicle (CMV). • Must have a valid operator’s license for the class of vehicle being operated. You must also be able to determine whether the cargo you transport is properly loaded, distributed and secured. As stated in 49 CFR Part 391 Subpart E you must pass a physical examination and have a medical examiners report and certificate in your possession. 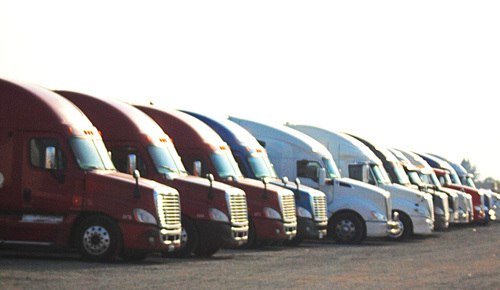 May Trucking Company must also keep a copy of the medical certificate in your driver qualification file.